Researchers often discover from documents such as census returns or death certificates that an ancestor spent time in a workhouse. The minutes of the Boards of Guardians who oversaw the running of Essex workhouses after 1834 have been deposited at ERO, and these can give an idea of what life was like for inmates. However, a picture – or in this case an Ordnance Survey map – can sometimes be far more effective. 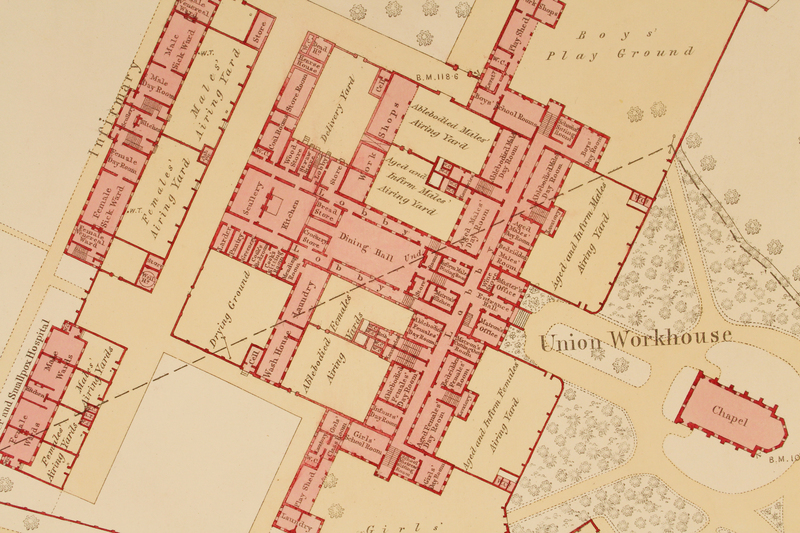 This extract is taken from the 120 inch: 1 mile map series and shows the ground floor of the newly built Maldon workhouse (now St. Peter’s Hospital) with a typical layout of rooms. On admission to the workhouse, males and females were separated and this plan shows further segregation: for example, aged females, bedridden females, able bodied females and girls all had different day rooms. When allowed outside for fresh air, they would all be in different airing yards or play grounds. Plans of the workhouse (D/F 8/611B) show that this separation continues on other floors, with different dormitories and even different staircases. If you would like to find out more about using workhouse records, join us for Discover: Workhouse Records (from 1834) on Thursday 26 June 2014, 2.30pm-4.30pm. This session will look at why and how workhouses came into existence, what life was like as an inmate and will consider surviving Essex workhouse records. Tickets are £10.00, please book in advance on 01245 244644. 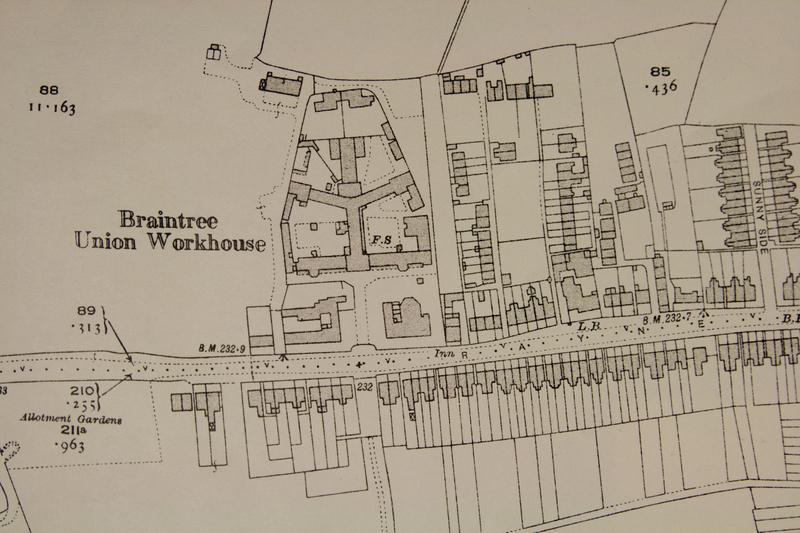 The surviving records of St. Michael’s Hospital in Braintree and the committee which ran both it and the Julien Courtauld Hospital in Braintree have now been catalogued (A/H 19 and A/H 20 respectively). St.Michael’s Hospital was the former workhouse for the Braintree Poor Law Union and many of the records deposited relate to the period before and just after the creation of the National Health Service, when the Hospital still maintained people due to poverty rather than illness. Many of the records have to be closed to researchers as they contain confidential information regarding patients, although staff may be able to release information to next of kin.